On June 18, at the Armenian Ministry of Energy Infrastructures and Natural Resources held a meeting with the delegation of the German Development Bank (KFW) led by Regional Director Olaf Zimelka. A number of issues were discussed related to the implementation of Armenia-Georgia 400 kV transmission line Project. General Director of “High Voltage Electric Networks” CJSC of Armenia Artak Hovakimyan was also present at the meeting. Minister Artur Grigoryan noted that he highly appreciated the cooperation with the bank and expressed conviction that the German government and KFW Bank's assistance to Armenia's energy sector hereinafter would be continuous and effective. Olaf Zimelka expressed hope that technical issues related to the Project will be finalized in the near future, as a result of which the Project will enter into the implementation stage. 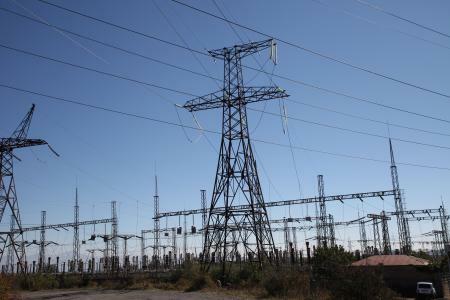 In that context, the Minister noted that the Armenian side is interested in implementing the Project, given the fact that the construction of high voltage transmission line will enable the expansion of the regional cooperation, becoming connecting link between Iran, Georgia and Russia power systems.